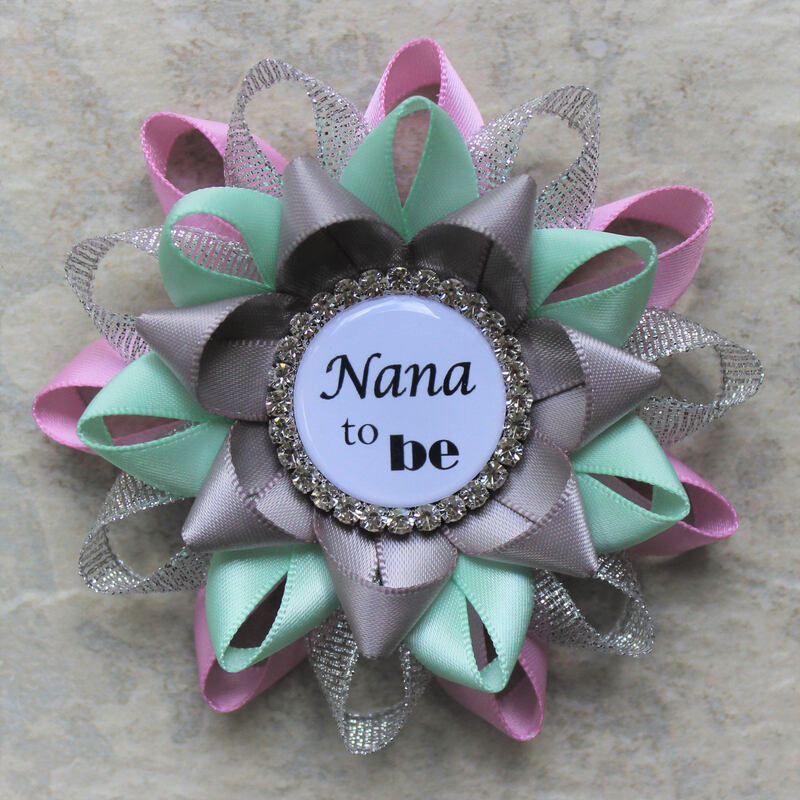 Having a baby shower? 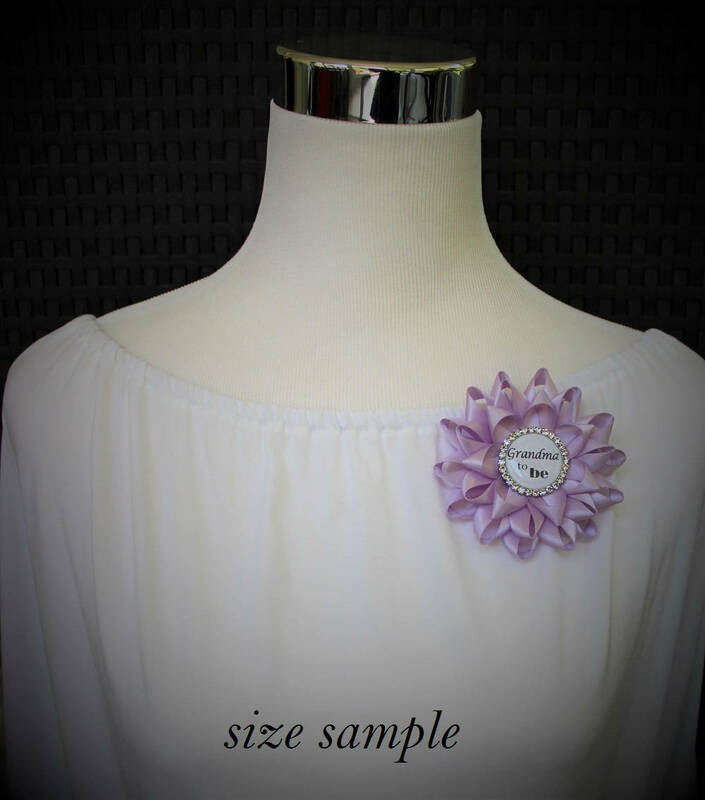 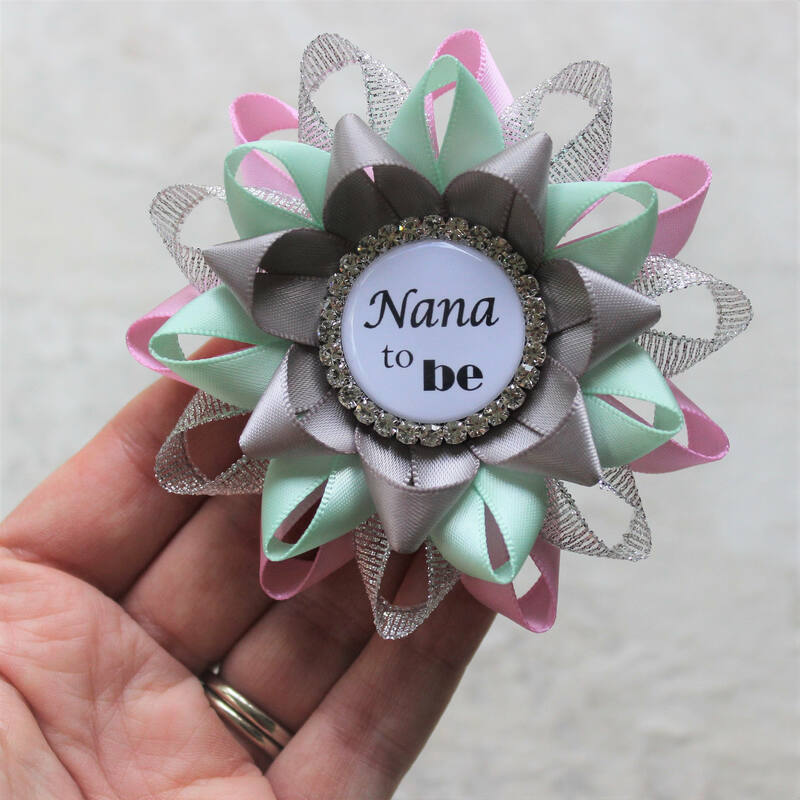 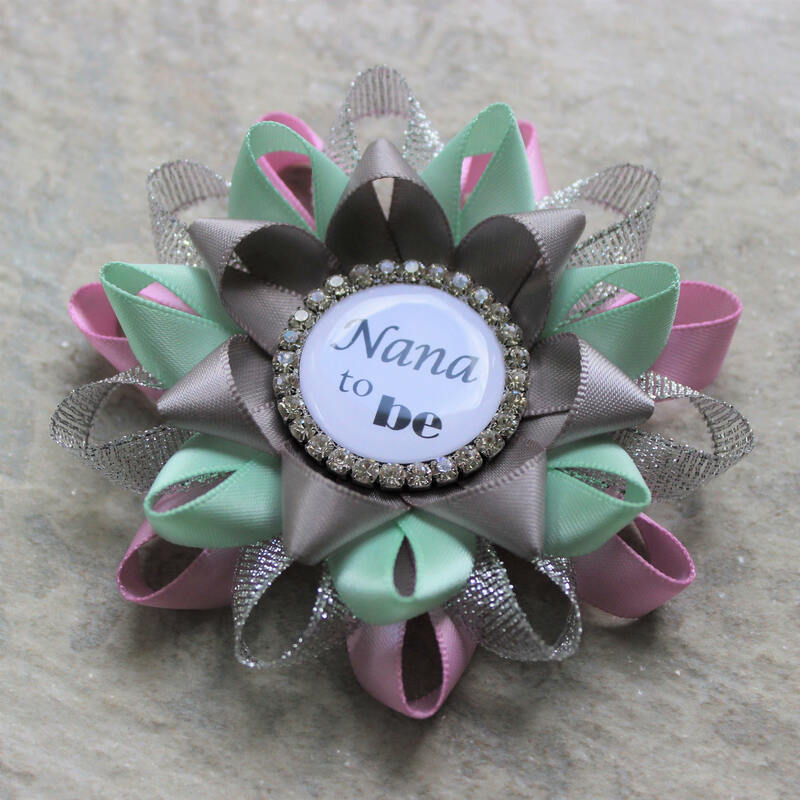 Choose your phrase for this baby shower corsage! 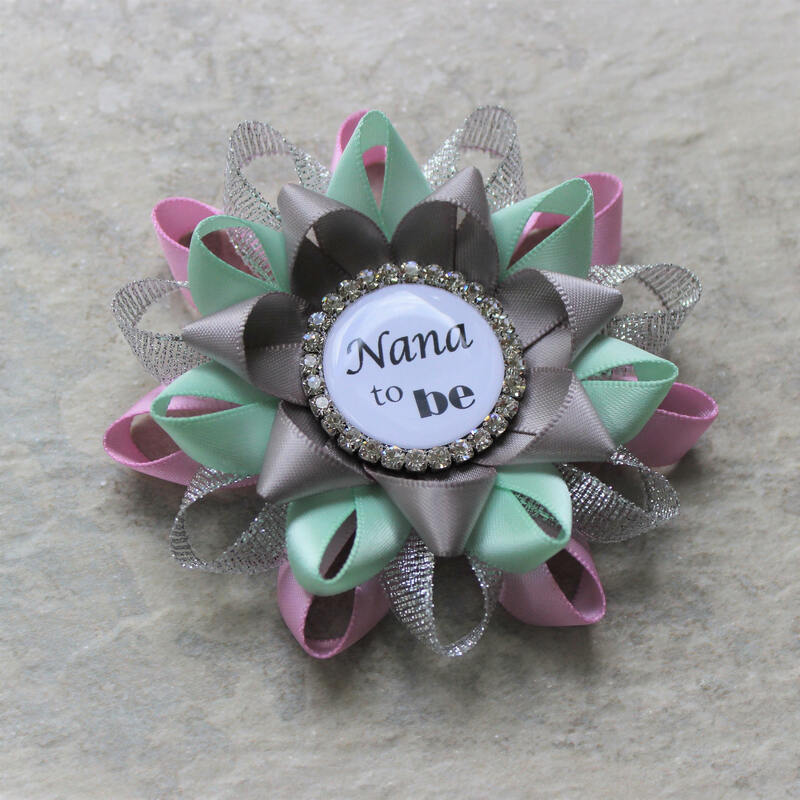 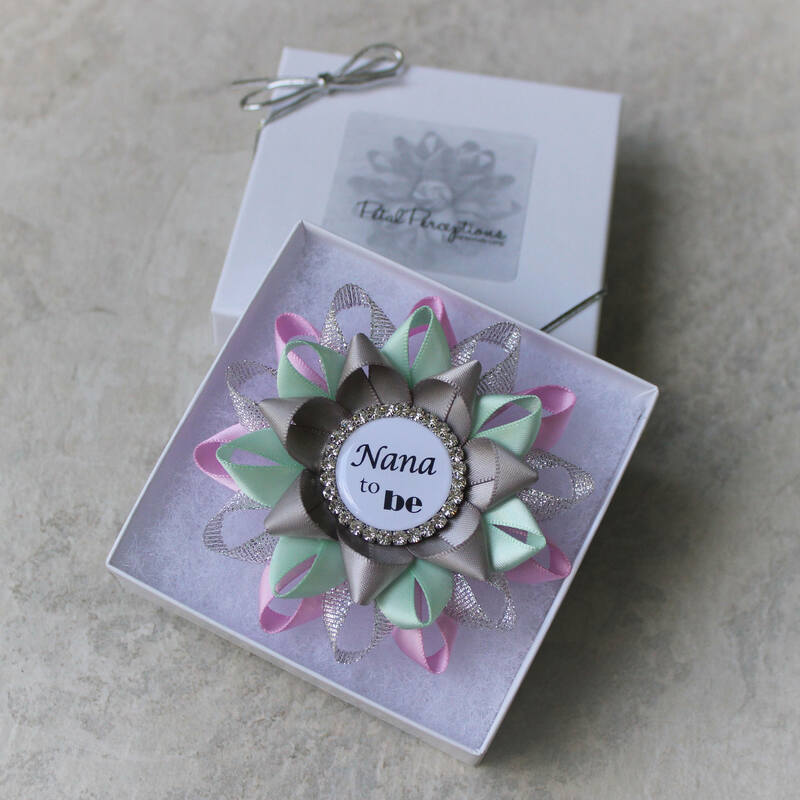 Shown in Mint Green, Bubblegum Pink, Gray and Metallic Silver, each flower is 3 1/2" wide and is handmade from satin ribbon with a personalized center piece. 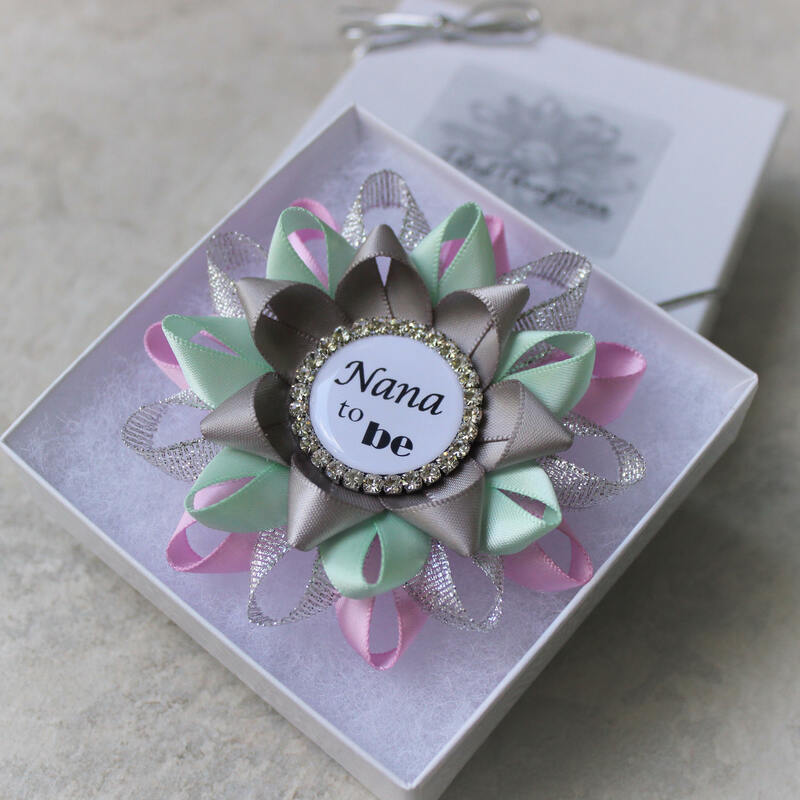 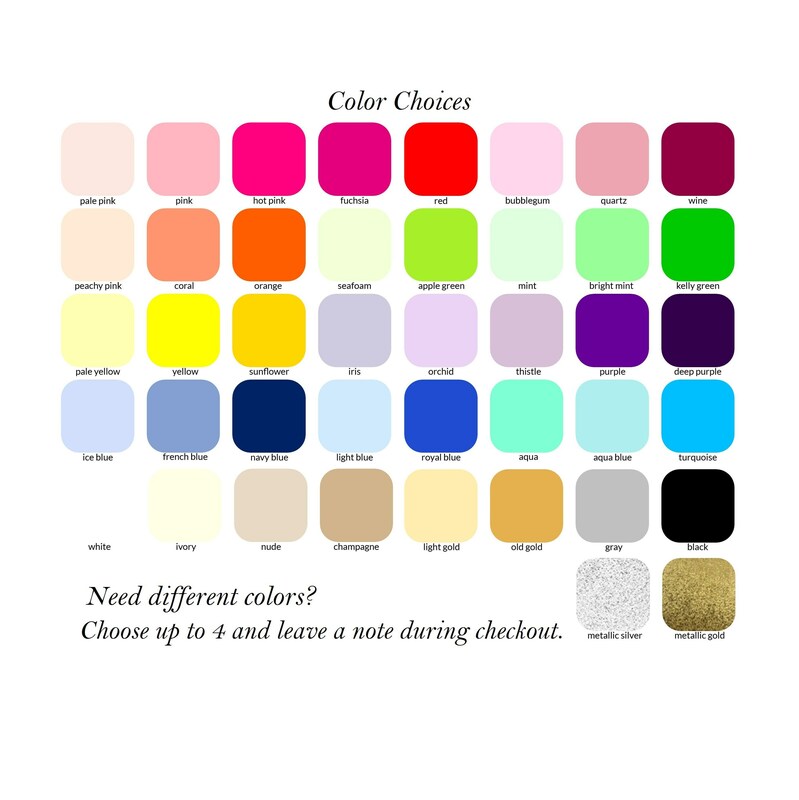 Each corsage has a classic bar pin attached and comes in a gift box with outer bow.